Comment: Front of the house is a steep sloped cape style roof, so the gutter hangs on hooks. Frequently move or loosen, so water pours over the gutters. Back gutter seems fine but would like to look at gutter guards. Front of house is one story, back is two. Comment: The current gutters are not working properly. Besides the fact that they need cleaning, they drip water from behind the gutters and cannot handle steady rain. We would like gutters with a shield that can keep out the pine needles, and adequate downspouts properly positioned to be able to handle any amount of rain without overflowing. Comment: Need seamless gutters with downspouts for entire home. Need to coordinate discharge points too. Comment: I have the interlock metal roof, so ice tends to fall slide off in sheets and RIP the gutters off the house. I would need someone to install them slightly recessed or something to avoid this. Comment: Replacing existing gutters on cape cod style one family home. Comment: Gutter along back side of my house (Colonial) needs to be replaced. Johnston Gutter Cleaning & Repair Services are rated 4.74 out of 5 based on 979 reviews of 15 pros. 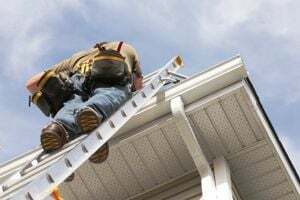 Not Looking for Gutters Contractors in Johnston, RI?